Your argument is incomplete. 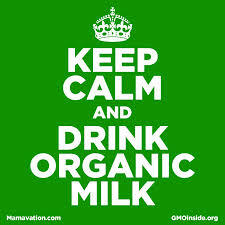 One of the reasons organic milk lasts “so long” is because if you look closely, it is all ULTRA-pasteurized. I would encourage you to look for a raw, or at least minimally-pasteurized product to try. 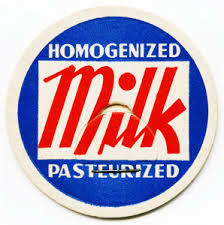 Many small farmers sell this type of milk and some are organic in practice if not in certification. Somatic cell is the measure for health of a cow, indicating whether she may have mastitis or not. Honestly, I have been to some organic dairies that are…very high in somatic cell count (and therefore mastitis). I’ve been to some conventional dairies that are….spectacularly clean and well-cared for. Pampered cows we call it. When I met my husband, his dairy was the finest “commercial” type dairy I had ever been on, and I would be proud to show anyone the job we do. 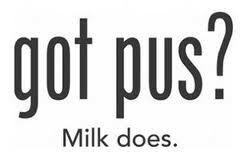 When you spread around the word that all milk has “pus” you are slandering the good with the bad. I had a guy come up to me at a fair and ask about pus in our milk. It was repulsive to even talk to him. I drink milk from my cows fresh, many have said it’s the best tasting milk they’ve ever had. So why should some fellow come up to me and say my milk has pus in it? Flawed argument if you ask me. In this case, one bad apple in the barrel does NOT spoil the bunch. There are some great dairy farmers out there, trying to do a top job to produce food for those not willing to put in the effort themselves! I didn’t mean to imply that every cow at every dairy is guaranteed to have mastitis and produce milk-filled pus. I think that saying that there is a legally allowed limit acknowledges the fact that milk isn’t required to have pus in it. It is just allowed to contain a certain amount of pus up to a limit. I do know about raw milk that has been minimally pasteurized, and that is probably what I’ll be drinking next year after I get a couple of goats here to provide milk (of course this isn’t cow’s milk, but it’s raw and to me works just as well). Certainly there are better and worse conventional dairy farmers and better and worse organic farmers. But I’m not just worried about pus. I don’t want to be taking low-dose antibiotics into my body on a regular basis as residue in any dairy product. You must know that 80 percent of the antibiotics sold in the USA each year are for farm animal consumption. But organic farming (done right) is free of antibiotics. I also have a personal feeling about the conditions in which animals are raised, and what they are fed. If I could have a dairy cow here on my property she would be grass-fed, and would have plenty of individualized attention and space to roam around in with sources of stimulation. I can’t have a cow here, but I CAN have goats. Hence the goat milk. I’m going in the same direction with eggs. I will have hens here next year laying eggs. So I’m willing to do the work and face where my food is coming from. I’ll have a much clearer sense of what I’m putting into my body, and the conditions under which it was produced. I would never walk up to someone I didn’t know and accuse them of having pus in the milk produced on their dairy farm unless I had some serious evidence. I’m just not that kind of person. I can’t apologize for the person who accosted you, but it wasn’t me. It does sound like he made some assumptions and was rude and confrontational. No one really likes that and I wouldn’t either.